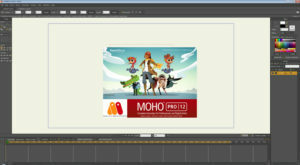 I purchased the animation software, “MOHO PRO 12”. Though I’m not sure how much the price really is outside of Japan, it usually is around US$450 in Japan. It was on sale and around US$45. Therefore I bought. I’ve been wondering how I could create “animated” illustration easily for a long time. 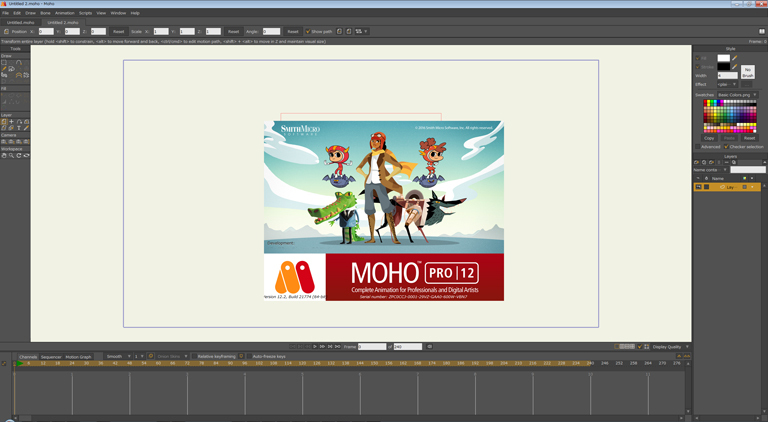 It seems “MOHO PRO” has lots of interesting function that would possibly fulfill my dream. I’m going to write notes if I found something useful and interesting about the application. I guess it’s one of my bad habits to start learning so many different software and new things. Blender, Moho Pro, DAZStudio, Poser, other applications and applications. Oh well, I do enjoy learning new things. So, it must be OK.
Rather focus on manga, KAZ. Focus on manga!